Jodi Piper Bappert was born April 13, 1956 in Sioux City, Iowa to Wally and Fran Piper. She participated in East Lansing High School sports from 1972-1974, after her family moved to East Lansing in the summer of 1972. During those 2 years, she lettered in Basketball, Track, and Softball. 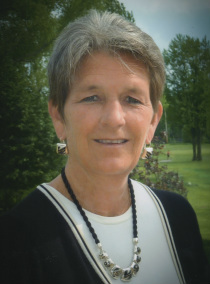 She distinguished herself in basketball in 1973 averaging nearly 19 point per game, and leading an injury depleted team to the state semi-final game of first-ever MHSAA Class A Girls Basketball tournament. In a quarterfinal victory she scored 32 points and followed with 26 points in the semi-final game, all without the benefit of the 3 point arc. The 1973 team won the conference, district, and regional championships; and she was honored as a first team all-area selection (Girl’s all-state honors did not begin until the early 1980s). However, the thing most important to Jodi about her basketball experience at East Lansing High School was the bond that developed with coaches and teammates. She just glowed whenever conversation turned to those very special people in her life. Additionally, Jodi is especially proud of how her 4 nieces have been able to contribute and grow the rich tradition of East Lansing girls’ basketball in recent years. Jodi was the oldest daughter of a legendary high school football and basketball coach from Sioux City Iowa. She began attending her father’s practices as a very young girl and learned the game of basketball, and more importantly valuable lessons on leadership and the value of teamwork. She learned at a very early age how to apply those lessons to make a team accomplish much more than just the sum of the parts, as proven by the 1973 State Tournament run. She had a zest for winning and a fire that would not be challenged without a fight. Jodi’s competitive athletic days ended at East Lansing HS. Shortly after she enrolled at MSU, Jodi decided to focus her leadership skills in new ways. She went on to become the President of the Kappa Delta Sorority for two consecutive years. While working at HP/EDS she became Professionally Certified in several areas and led a number of key projects for GM, including extensive work with On-Star and later key projects for the State of Michigan. Her leadership skills were not only focused in the business world. In 1998, she began applying those skills to a fledgling multi-age, extended year elementary school of choice within the Grand Blanc School district. Jodi’s tireless efforts supporting the school in those early years have made this school offering a resounding success. Lastly she has applied her leadership qualities in other ways to make the world a better place. In honor of colleagues befallen by cancer, she led a number fund raising events such as golf tournaments, walks, auctions, etc. Her leadership qualities are very evident on large scale endeavors, but she also took the time to apply them at an individual level. She always was looking out for others. Jodi’s husband of 28 years, Jim and 3 sons, Jace, JP, and Joey reside in Grand Blanc, Michigan.